This article about urine in swimming pools was originally published on the NSPF website. Swimming is a wonderful sport and activity. In my opinion, its benefits far outweigh the negative perception from reports that people pee in the pool. While that negative perception may never go away, peeing in the pool is a problem that can be managed both directly and indirectly. This article will explain the problem and my opinions on how to deal with it. My opinion on this topic is no secret. I published an article about peeing in pools, and have been on record in various swimming news publications stating my opinions about it and other related health issues. In summary, swimmers do pee in the pool, and there are valid reasons why. 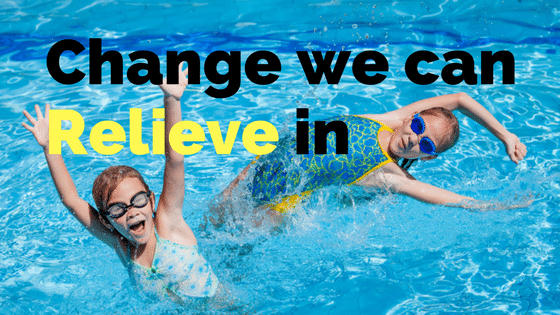 Without directly addressing their reasons, expecting swimmers to change is wishful thinking. While I agree with most expert opinions on the problem, I am at odds with their solutions. In my opinion, solutions must be feasible for the masses of swimming pool users, and so far I have not heard many. Educating the swimming community hasn’t worked well either. I know because I’ve tried. Sure, the ideas to indirectly solve the problem by preventing the cause are valid and would be great…except they are unrealistic, and therefore ineffective. I prefer addressing the problem head on, and treating pools as if urine is guaranteed. For most swimmers, the myth that chlorine kills urine prevails; a myth which makes peeing in the pool acceptable. Misinformation is a powerful thing…you know, kind of like the myth that salt pools are chlorine-free. Until the myth is gone, swimmers will continue to think it’s not a big deal to pee in the pool, and will therefore continue to pee. "The Fundamentals of Chlorine Chemistry and Disinfection." Bowman & Mealy, 2007. Wisconsin State Lab of Hygiene. In reality, urine is sterile, so there is nothing for chlorine to ‘kill’ (sanitize). Rather, urine is made up of organic waste that is oxidized by chlorine. Among this organic waste is a compound called urea, which is directly linked to a myriad of nasty disinfectant byproducts (DBP’s) when oxidized by chlorine. It is these DBP’s that are harmful to humans and cause air and water quality problems. Chlorine’s main purpose is to disinfect, but according to the 2007 study by Bowman & Mealy from the Wisconsin State Lab of Hygiene, chlorine disinfection cannot proceed until the oxidant demand has been destroyed. 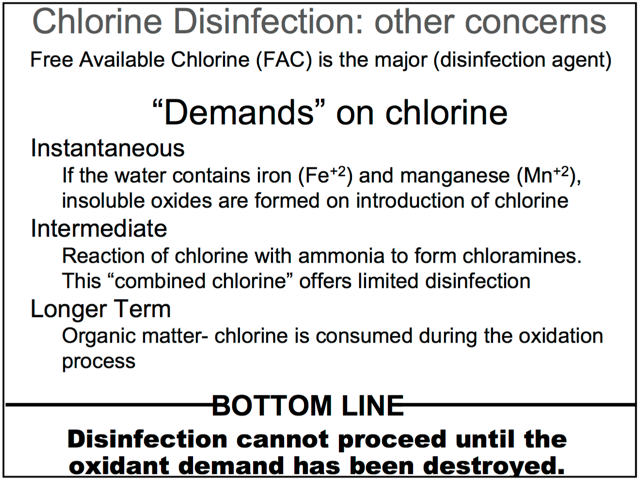 Therefore, one way operators can directly address this problem is to help destroy the oxidant demand so chlorine doesn’t have to do all the work. For this, catalytic enzymes have proven to be very effective. In short, swimmers pee in the pool because the alternatives seem worse than peeing in the pool. I will briefly describe some of these reasons below, but for more information, read this. 1. Interrupting the workout. Not only for the swimmer themselves, but for their teammates. A huge part of swimming culture is being tough and surviving the hard, exhausting sets. Hopping out to use the restroom can be perceived as skipping out on the hard work. The guilt alone makes this option undesirable. 2. It’s freezing cold. If we accept science that tells us peeing in the pool is bad (which we should, because it’s true), we must also accept the science of evaporative cooling. In other words, when we’re wet and exposed to air, we get cold. We just put in a lot of energy to warm ourselves up for the workout, so why get out and shiver? It’s a big interruption to the workout. To me, this was one of the main reasons I wouldn’t get out. 3. Missing the coach’s instruction. If you ever want to annoy a coach or teammate, ask questions about the set after it has been explained. Non-swimmers may not understand the complexity of a swim workout on a whiteboard, but it’s not exactly plain English. There are abbreviations, arrows, numbers, brackets, etc. Even if you can read the workout, you still may miss the focus of the set. 4. During a meet, we wear racing suits. To understand what I mean, watch this video (note: some language). Then imagine being a girl that has to hop out of the pool, get to the bathroom, peel themselves out of their racing suit to pee, then put it back on (now wet from the pool) while cold and shivering. Two things: being in the water puts a lot more pressure on your bladder than normal, and swimmers have to stay hydrated. If you can get through a 5,000-meter workout without peeing, you are probably severely dehydrated. Drinking and peeing is way better than being dehydrated and cramping. Now if somehow all these reasons why swimmers pee in the pool can be addressed, fantastic. It would be wonderful if people stopped peeing in the pool—or even just peed less—but we have no way of knowing, measuring or enforcing that (short of the mythical dye that makes pee easily visible). What, then, can we do to handle pee in the pool? As mentioned before, my opinion is to treat the pool and air as if peeing is inevitable. I have not seen one single magic solution that will solve this problem. There is, however, a combination of products and systems that work in harmony to greatly reduce the problem. I have seen the following things combine for an amazing system that keeps a busy pool pristine, even during the heaviest bather loads. Balanced trio of chemistry, filtration and circulation. In swimming pools, these three components are interdependent on each other. Almost every problem faced in swimming pools can be traced to a problem with one or more of these three. Make sure the pool has properly sized and functioning equipment, effective circulation and balanced water chemistry. Specialty chemicals. Chlorine (or bromine) is not well suited for oxidation of organic body waste (like urine, body oils, sweat, sunscreen, etc). Sure, with enough free chlorine it can get the job done…but the incomplete oxidation of organic waste creates DBP’s like chloramines. Specialty chemicals like enzymes boost chlorine’s efficiency by directly breaking down organic body waste and oils. That means more complete removal of organic waste and less chloramines. 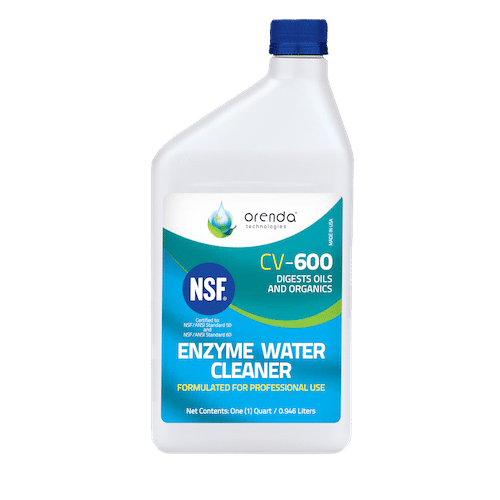 Of course, it won’t stop DBP’s from being produced, because chlorine will still oxidize what it touches…but enzymes can make a noticeable improvement to water quality. Source-capture ventilation (for indoor pools). Even with specialty chemicals helping to manage the organic body waste, chlorine will still oxidize what it touches. Therefore off-gassing DBP’s like chloramines are inevitable. Once airborne, water chemistry no longer matters. The most effective means I have seen to handle bad air quality is source-capture ventilation. It exhausts the worst air in the natatorium as close to the source as possible, before it can recirculate through the HVAC system. 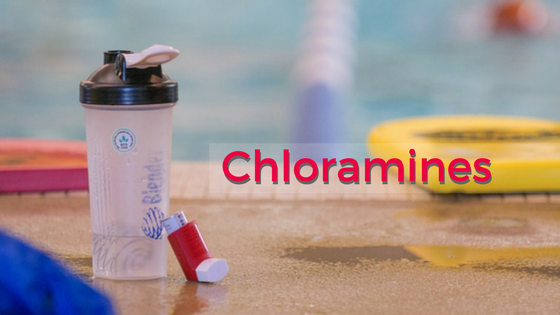 Inhalers are common at indoor pools with chloramine problems. Well-designed air handling system (for indoor pools). For a source-capture ventilation system like The Evacuator to work, it needs to match the air handling system and its airflow patterns. Poorly designed duct and undersized dehumidification units are a common problem in pools. They need to be able to introduce an adequate amount of outside air and deliver it to the breathing zone. Secondary disinfection. The most common secondary disinfection systems available are UV and Ozone. There are also new secondary oxidation systems too, such as oxy-radical oxidation. These systems do not replace the need for a primary sanitizer like chlorine, but they can help reinforce it. Their shortcoming is they depend entirely on the effectiveness of your pool’s circulation—as they are located in the pump room, not out in the pool itself. Using the five elements listed above can help your pool (and staff) handle contaminants like urine. When all the components work together, the results can be amazing. Imagine a pool that can handle urine, without worry of air or water quality problems. It would have good circulation, filtration and chemistry working together with a secondary disinfection system like UV. It would have enzymes in the water to tackle the oxidant demand so chlorine can focus on sanitation. If indoors, it would have a well-designed air handling system that delivers fresh, conditioned air to the breathing zone evenly, and a source-capture Evacuator system to remove airborne chloramines directly from their source. Believe it or not, such pools do exist. So rather than making signs and wishing swimmers would stop peeing in the pool, assume they will continue to pee, and address the problem head on. Wishing is not a strategy. Test your pool's fill water. Customers depend on it. Cloudy Pool Water: Why does it always happen?